How to Earn More Free Credits? Free Telos credits are provided for calling anyone who does not have the app. Eager to get more credits quickly? Try the following tips. Remember to open the app every day and check in daily to earn up to 20 credits. You can also choose to be reminded by the app of daily check-in. 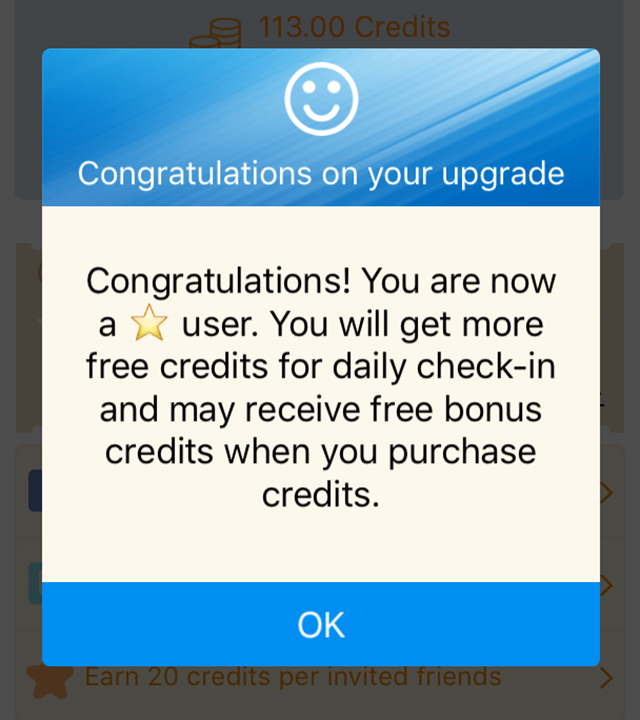 Besides, it offers extra bonus that recognizing you to be a star-level user and the more check-ins, the more stars you will get. As a result, you are able to get more free credits for daily check-in and may receive free bonus credits when purchasing credits. 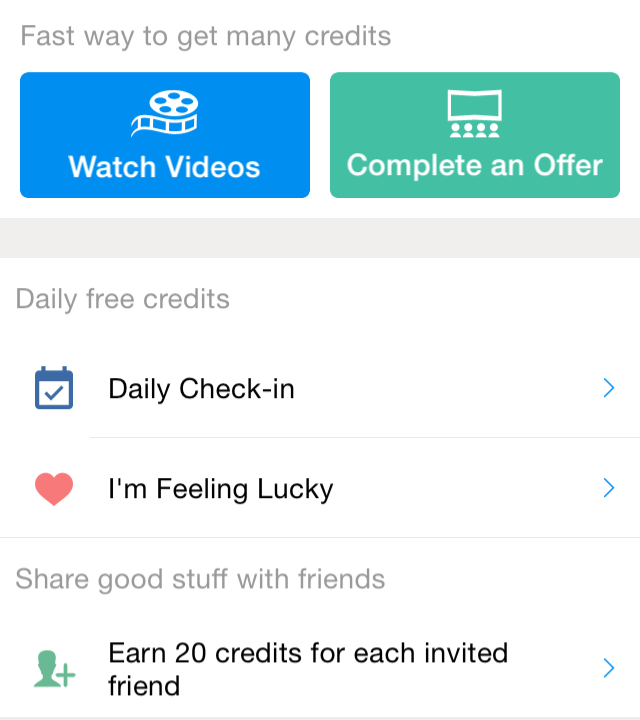 Tap on “I’m Feeling Lucky” simply and be ready to get surprising credits. 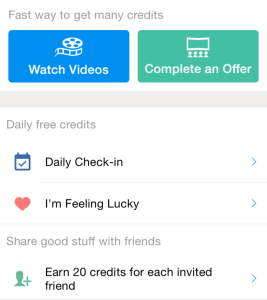 Users can get free credits even by watching videos? Yes. You’ve heard me right. Earning credits cannot be easier. 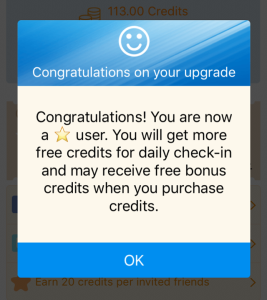 Enter “Complete an Offer” and credits will come to you after completing a survey, downloading an app or playing a game. You may earn up to hundreds of credits by simply completing one offer. Please make sure your device is connected to stable network, otherwise apps may fail to be downloaded or credits can be missing after the offers are completed. If you like this app, you will definitely invite your friends to use it. Most importantly, it is a fast way to earn 20 credits for each invited friend. Invitation via SMS, e-mail and Facebook as well as sharing to Twitter and Facebook are all available. Is it easy and fun to earn free Telos credits? Then start right now and never miss a lucky opportunity! More information about free credits are shared on Facebook. We are looking forward to hearing from you. Thanks. Have fun earning credits.